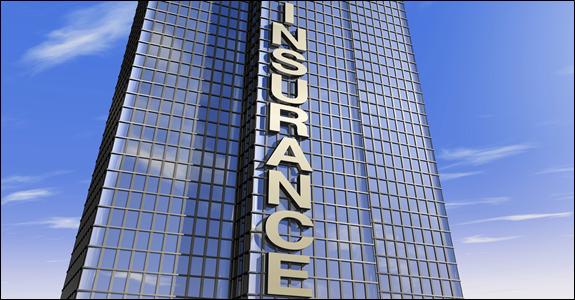 Changes Within the Life Insurance Industry: Will You be Affected? The following is a quick update on several major changes to the life insurance industry and the impact of those changes on existing and new policyholders. There are two important items of note so far in 2012. The first pertains to ING. Most if not all of the US operations of ING Group will be spun off by or in 2013. This process was conceived and started back in 2008 when the financial crisis began. The initial thought was to go the route of an IPO but as the market for new IPOs is still tepid an acquisition of the US based operation or the both the insurance and investment management units seems more likely. The US operations have been based out of Minneapolis when it purchased ReliaStar Financial Back in 2000. The banking operations based in St Cloud, MN were sold to Capital One. The second item of note concerns Hartford. Their individual life insurance unit was sold in late September to Prudential. The sale was pushed for by stockholders, specifically hedge fund icon John Paulson, so that Hartford could focus on their property & casualty business. The property & casualty business is considered their dominant and most successful business and this is where they want to concentrate their energies going forward to ultimately enhance the value of their stock. The sale is expected to close in 2013 and the individual life business sold to Prudential offers universal life, variable universal life, indexed universal life, term life, whole life products. The annuity division was purchased by Forethought Financial Group (Source: LifeHealthPro, October 3, 2012). So - what does this mean for existing policyholders and how does it affect their existing coverage and/or annuities? The sale of these companies will probably not have much effect on the existing policies or annuity contracts. The acquiring companies will certainly honor existing policies and take over the servicing and administration. Rates will most likely not increase immediately as well although in the long term there could be increases. Acquiring companies, such as Prudential, are in most cases very financially stable and also remember that the state's insurance department watches these transaction very closely. If you are ever curious about company ratings, click here to see the rates from Standard & Poor's. For ratings and information from AM Best, click here. Obviously, if you are an existing policyholder you want to watch everything closely and keep your eye on any negative changes. If anything seems amiss you can always report it to your state insurance department. The most likely effect will be administrative in nature and will involve the servicing of the policies and contracts. In many instances when products lines are discontinued or when the company is sold there might be a slip in customer service. There might be less customer service representatives available to answer questions or to make any changes, for example, in investment allocations or beneficiary designations. Be careful when approached about switching coverage or annuities policies simply due to the fact the company was sold. There are of course many legitimate reasons to switch but there are also specific things to keep in mind. Many policies and annuities have early surrender and/or early withdrawal penalties so it could cost you significantly if indeed you do want to make a change. Look at these closely before making a final decision. You might be getting a "bonus" and/or an increase in features in a new product if you do decide to switch. However, you might also be giving up valuable benefits such as increases of the guarantee withdrawal income benefits or enhanced death benefits. Also - if you have obtained a policy more than a few years ago you are older and might be not as healthy in which case the new plan could cost significantly more. However, you might want longer or more permanent coverage and of course you might be healthier as well. Absolutely make sure you do not surrender or lapse your old plan until the new coverage is put in place so that you have overlapping coverage. Having been involved significantly in this type of analysis over the years I can truly say there is no "cookie cutter" answer or solution and that each situation and fact pattern must be looked at individually before the proper decision can be made. Is "Buy Term and Invest" Really the Answer?